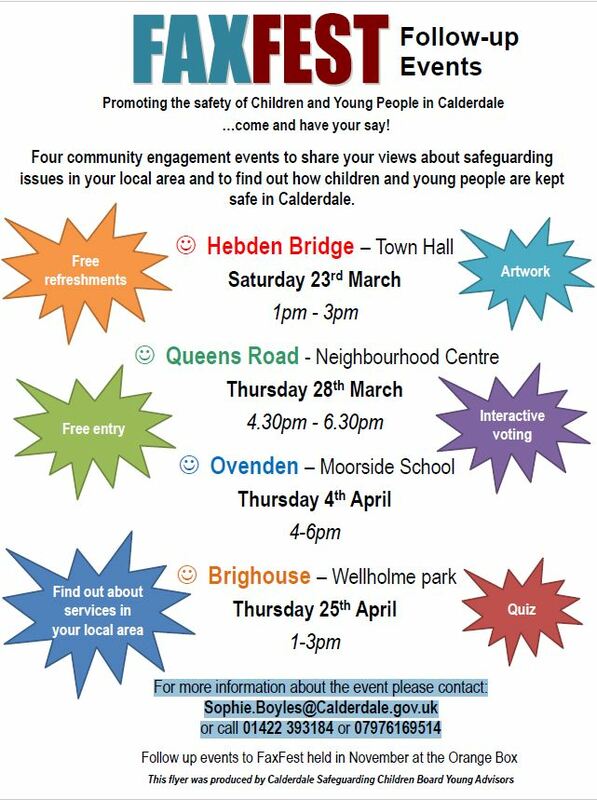 There will be four community engagement events to share your views about safeguarding issues in your local area and to find out how children and young people are kept safe in Calderdale. At each FREE event you will be able to find out about services in your local area and there will be free refreshments, a quiz and a chance to air your views. This entry was posted in Apr, Brighouse, Events, Get Involved / Have Your Say, Mar, Young People and tagged FaxFest.